Defective and faulty products result in catastrophic injuries for people each day. Many of these injuries involve severe, traumatic burns that alter the person’s life forever. When a defective product burns a person, the accident can ruin that person’s life or significantly alter that person’s life in physical, psychological and emotional ways. 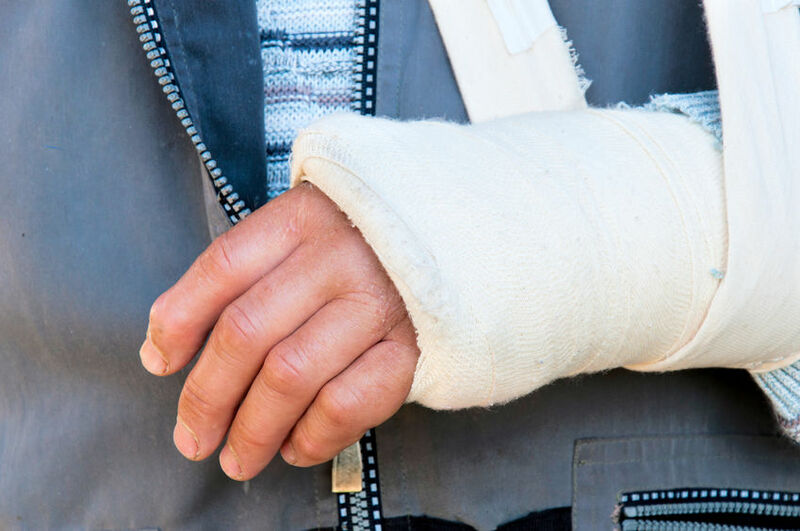 Someone who has experienced a burn injury may not be able to return to work, enjoy former activities, and require assistance to perform personal care tasks, as well as ongoing medical care. Our team of St. Louis, Missouri product liability attorneys at Schlapprizzi Attorneys at Law work diligently to ensure that your rights are protected. We have extensive experience representing clients who have been burned by defective products. We understand that you have experienced a traumatic event and you need the assistance of a trustworthy, dedicated attorney who will treat you with respect and compassion. Therefore, we treat every client as a person rather than a case file. We are here to answer your questions, provide support and guidance, and aggressively advocate on your behalf. Let our knowledge and experience benefit you by calling our office to schedule a consultation with a St. Louis, Missouri defective product attorney. Designers and manufacturers have a duty of care to ensure that the products they sell are safe to use by consumers. As consumers, we have the right to expect when we purchase a product it will be safe to use for its intended purpose. Unfortunately, not all products are safe to use and some cause serious burn injuries. When this happens, the consumer has the right to receive compensation from the party or parties who failed to meet the duty of care owed to the consumer. A defective product is a product that has an inherent design flaw, a flaw in the manufacturing process, or an inadequate warning. Depending on where in the process the defect occurred, one or more parties may be responsible for your injuries. For example, if there is a flaw in the design of the product that makes the product inherently dangerous to use, the designer can be held liable for your damages. However, if the manufacturer substituted a material that the designer specifically said to use or the manufacturer changed part of the design to save money during the manufacturing process, the manufacturer can be held liable for your damages. In some cases, a distributor or a seller may be held liable for your damages if there is a flaw in the marketing process such as a failure to include proper warnings, providing insufficient or incorrect instructions for use of the product, or improperly labeling the product for sale. Burn injuries can result from a variety of causes including defective products. Defective products can cause fires or flames that burn the victim. An example would be faulty electrical wiring that creates a spark causing a fire. Scalding injuries can occur with a defective hot water heater or coffee maker. Chemical burns are another type of burn injury that can result from a defective product. Improperly labeled household cleaners are one example of a product that can result in a chemical burn. Electrical burns are a common type of injury that we see with dangerous and defective products. Appliances or machines may be improperly labeled, they may have a design flaw, or they could be improperly labeled causing the product to electrocute the consumer. Depending on the level of voltage, an electrical burn can range from mild to extremely serious. Because there are so many products that can cause burns, it is important to use appliances and products only for their intended use. However, if a product has injured you you need to contact our office immediately to discuss your legal remedies. Burns are classified by the degrees – first degree, second degree, and third degree. First-degree burn – Only the outer layer of skin is injured. Second-degree burn – Penetrated the first and second layers of skin. Third degree burn – The most painful of the degrees because the burn penetrates every layer of the skin and destroys nerve endings. Click here to learn more about types of burns by reading our Burn Injury Guide. Even with a first-degree burn, the skin can have permanent scarring; however, with a third-degree burn, there will definitely be permanent scarring and the potential need for skin grafting. However, a burn injury can damage other parts of the body in addition to the layers of skin. A burn victim’s blood vessels, respiratory system, muscles, bones, and nerves can all be injured due to a burn. A burn may damage the body’s ability to regulate body temperature, which can cause a variety of health issues the injured person. Because burns cause serious, permanent, and life-altering conditions, it is vital that you contact an experienced St. Louis, Missouri product liability lawyer as soon as possible if you have been injured by a defective product. Our office can assist you as you seek expert medical attention so that you can achieve maximum medical recovery. While you focus on your recovery, we will focus on holding the parties responsible for your injury accountable for their actions. If you or a loved one has been burned due to a defective product, contact the experienced product liability lawyers of Schlapprizzi Attorneys at Law. We focus on protecting our client’s legal rights to receive a full, fair and just settlement for their injuries as they focus on the healing process. Call our office to schedule a consultation with one of our attorneys. Burn injuries are devastating for the injured and the family. It is our goal to help you get back on your feet so you can resume your normal life. Contact our office today to discuss how we can help you as you continue to recover from your burn injury. Read frequently asked questions about burn injuries. Read our burn injury guide.